If your reaction to this picture is "Oh God, not more Sylvia Plath," I suggest you look away now, because this is Sylvia Plath week, as you can't have failed to notice. Forgive me if this is a grandma/ egg scenario, but fifty years ago this week (February 11th 1963), Sylvia Plath committed suicide at the age of thirty, leaving behind her estranged husband poet Ted Hughes and their small son and daughter. It was barely a month after the publication of The Bell Jar, the fictionalised account of the summer of 1953, when she was a guest editor on the now-defunct US magazine Mademoiselle. Since then, the original angry young woman has become a heroine to screwed up teenage girls everywhere. Which is where I come in. My dog-eared and coffee-mug stained edition of The Bell Jar, and all my other Plath ephemera, dates from the mid-80s, but looking back through my tattered copy of her collected poems, I know now that my understanding of her was limited. Because apart from the time chronicled in The Bell Jar I knew little of her life before 1956. Her pre-Hughes life. But a fascinating new biography (written without the co-operation of the Plath estate, which is run by Hughes' widow) sets out to put that right. Mad Girl's Love Song by Andrew Wilson takes its name from one of her early poems (one not included in my well-thumbed Hughes-edited edition of Plath's collected work) and in so doing, puts a whole other complexion on things. Focussing on her life up to the moment she met Hughes ("the big, dark, hunky boy") at Cambridge, it examines the defining moments in her life. Her father's death. Her suffocating relationship with her mother. Her early suicide attempt and subsequent treatment. And ends with the choice she made between three men: her boyfriend Gordon Lameyer, Richard Sassoon (who maybe should have been 'the one') and Hughes. The rest, we pretty much know. There has been much (admittedly pointless) speculation on the course Plath's life might have taken had she lived in a different era. A time when her class and gender might have proved less restricting, when sexual mores were more relaxed and angry young women were allowed to express their fury. A time like now, ish. After all, we might all love Mad Men, but who would want to live through it? Last week, Girls creator Lena Dunham speculated that a Plath today might have been a blogger, for slate.com, for instance. I like that image. I'll keep it with me. Plath's take on New York fashion week would have been a joy to behold, I'm sure. She might have dumped Ted Hughes before they inflicted untold damage. He, in his turn, might have dumped her. She might have got on a plane and followed Richard Sassoon to Spain. She might not have been given ECT. She might have lived. But the truly tragic thing is, I fear she might not. 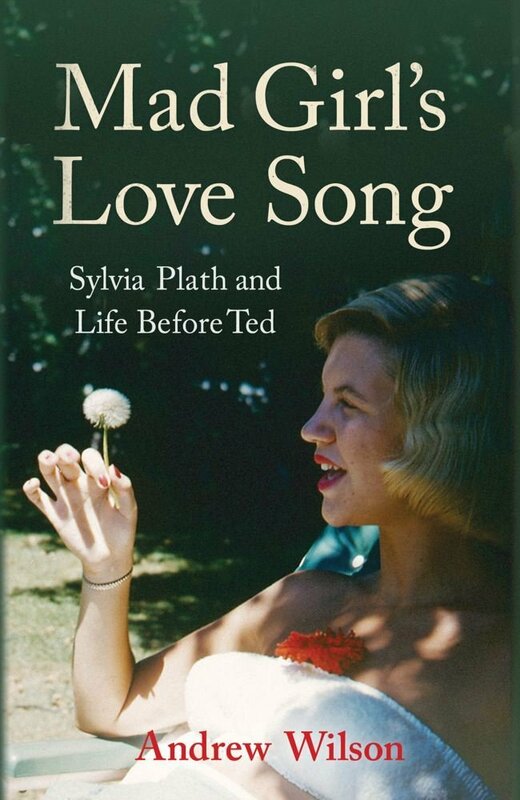 Mad Girl's Love Song: Sylvia Plath and life before Ted is published by Simon & Schuster, £20, and is Radio4's Book of the Week this week. The Bell Jar is published by Faber, £7.99.